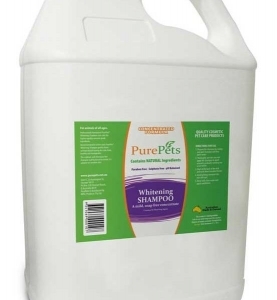 Pure Pets Whitening Shampoo 5L Gentle formulation for a bright shiny coat. Contains no bleaching agents. Reduces yellowing in the coat.